Interview training is carried out on a one-to-one basis with two hour slots. 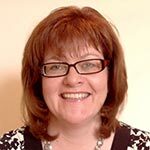 Our interview skills expert, Tina Kinirons, is a business psychologist with a wealth of experience on both sides of public sector interview tables. She has trained hundreds of public sector interviewers and has extensive experience working as an interviewer. She has coached candidates to success in the civil service, local authorities and public sector agencies and has worked with candidates at all levels of seniority. Do you want some advice and guidance on writing the competency questions that are part of the application form? Would you like some input on writing your CV? Do you want some help in preparing for the interview? Would you prefer to work with our interview expert on a one-to-one basis instead of attending a training course? If so, you will be interested in attending an interview coaching session and work with our interview coach on a one-to-one basis for a one- or two-hour coaching session. Alternatively, you might want to focus on the interview itself. The coach will help you prepare for interview, working through your main "selling points" and making sure this comes through clearly in the answers to the interview questions. She will work through interview questions and answers and make sure you are clearly able to answer them and to articulate your fit for the role advertised. She can conduct a mock interview with you. If a presentation is required as part of the interview process, she can work with you to clarify what you think the interview board are looking for and then work through the presentation approach and content and rehearse the presentation, including anticipating questions that might be asked.